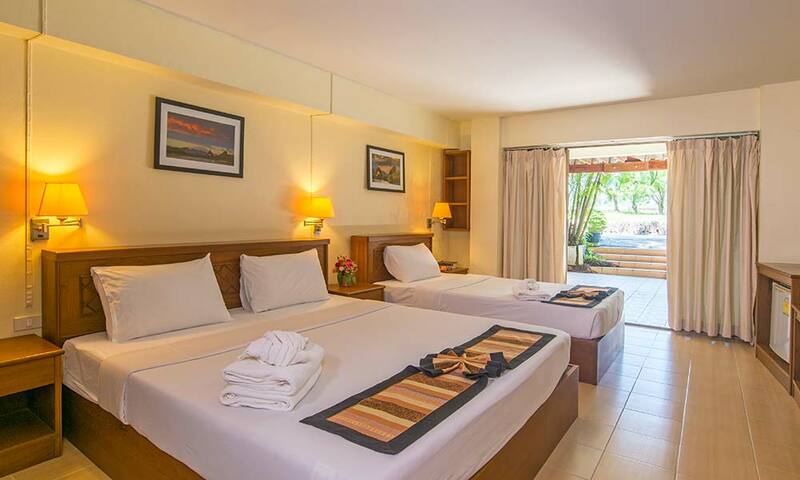 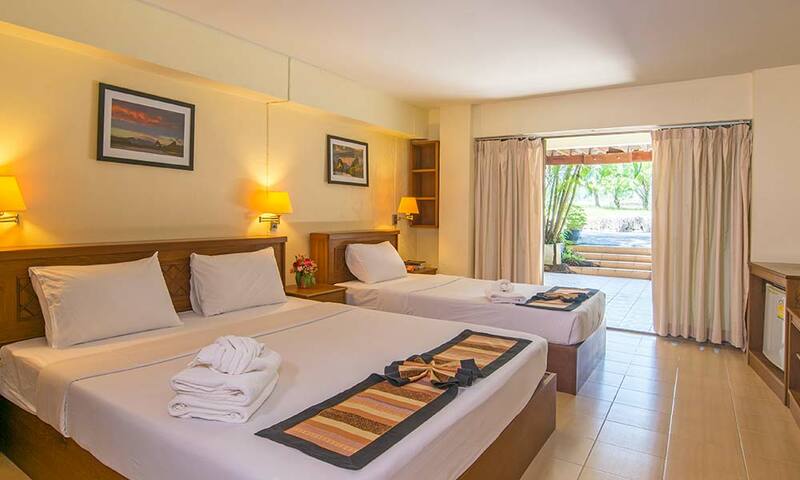 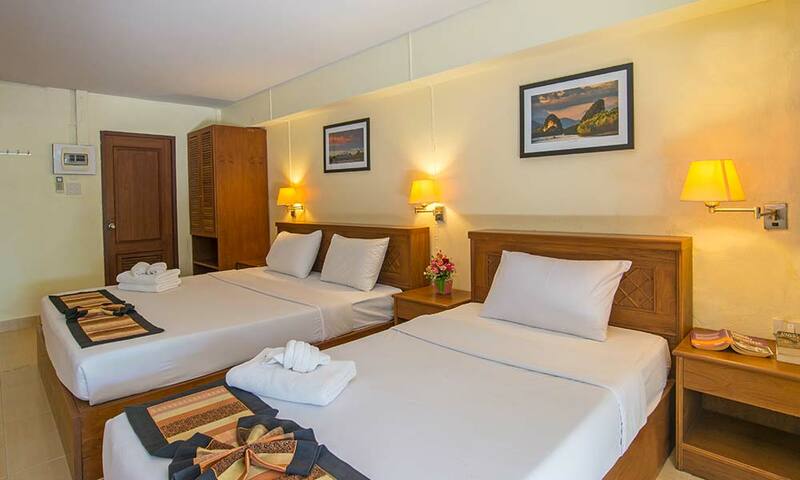 Best for family with garden view for 3 persons base of staying with room size 48 square meters. 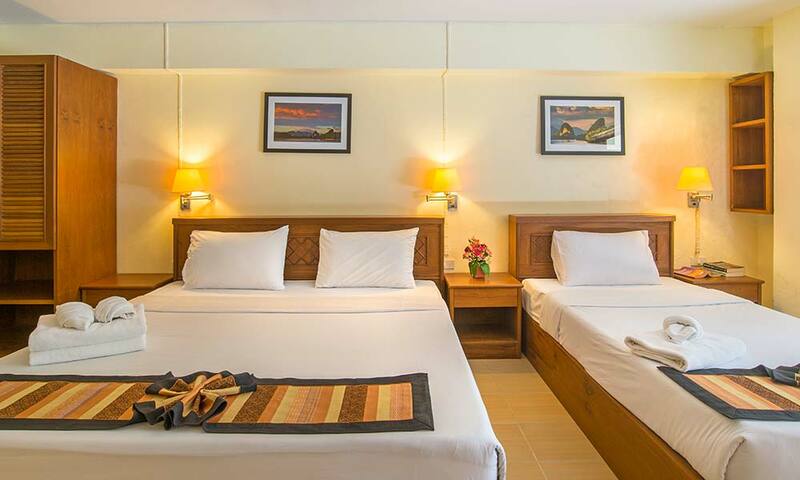 Decoration by double bed and two single bed with air condition control by remote, comes fitted with a flat screen TV., Private bathroom with hot and cold shower, satellite TV. 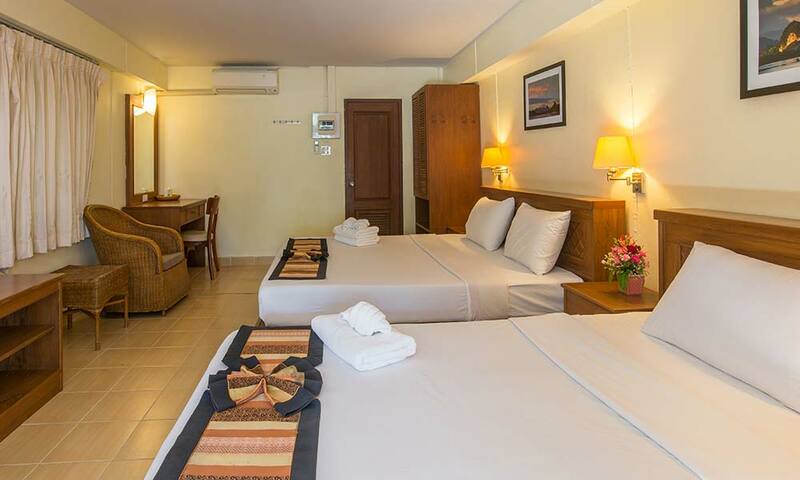 , telephone, refrigerator, coffee and tea full set also wireless internet all area.